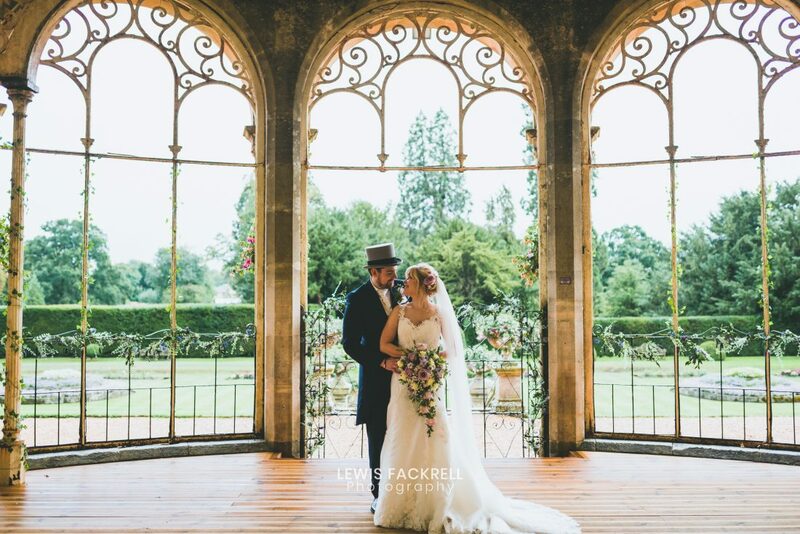 Grittleton House wedding venue hosted the stunning wedding of Jennie & Will at the end of August in the stunning surroundings of the gothic architecture of the venue amongst their friends and family. Jennie & Will had their Grittleton house wedding recently and what a setting it was for their special day! I was in awe of the venue and the interior detail. The outside is pretty stunning too but as it was heavily raining all day there was little chance of us venturing outside. Non the less it didn’t dampen their spirits at all. I joined Jennie and her bridesmaids during the bridal preparations in the morning of the wedding. I hadn’t even reached their room before hearing Jennie’s infectious laugh and the great 80’s and 90’s songs playing out loud. I loved this part of their day as it was so fun and lively with everyone having such a great time! Will had shortly arrived later and decided to get ready in the house’s library, ohh what a room! Complete with a secret door to another room – the inner kid in me was super excited! Will was joined by his groomsmen as they quickly got dressed with their long tail jackets and complete with top hat. A quick deliberation of what goes where and they were ready for the day and to greet their guests upon their arrival. Jennie’s dad, Graham holding back the tears as he saw Jennie in her dress, pure joy and proudness worn so obviously on his face. He led Jennie along the short walk through the grand staircase, hall ways and into the ceremony where Will and their guests awaited. The room, grand with gold painted decorations and maroon coloured high walls. A string quartet playing in the background, in all, the perfect setting to exchange their vows. The bride, Jennie was so happy as she took it all in, it was finally happening! Rings worn and the wedding register signed. First kiss sealed and they were officially married! Woo! The celebrations continued inside their Grittleton house wedding and the Orangery where the portraits were held as the rain eased off. Canapés and prosecco enjoyed while the string quartet carried on their beautiful renditions of famous musical pieces. Thankfully the rain stopped for a short moment and so Jennie & Will took the opportunity to go outside for their wedding photography portraits in the gardens which were stunning! Wedding breakfast and speeches underway in another grand room of the house. Brightly lit with yellow and white decor and a grand fireplace highly decorated throughout. Toasts and recognitions given to those who helped make such a wonderful wedding come together. It was then onto the best mans speech. The evening reception soon got underway with the opening of the sweet cart, bar and photo booth, not to mention the dance floor! Jennie & Will officially launched the evening reception with the first dance under a large golden chandelier and in front of their guests set to ‘Perfect’ by Ed Sheeran which absolutely resonated with the entire day! Jennie at one point even showed her newly established ‘Stag’ tattoo as a reminder to her maiden name which you can see at the end of this blog.